Personalization have always been the way to go for better user adoption. Microsoft has been working hard to make most areas available for personalization. The latest in this path has been the ability to personalize the CRM Online login page. In case of an On-Premises install that has been configured for IFD, you could follow the steps explained in this blog and it was also possible to customize the login page for Federated CRM Online experience. Here we touch upon personalizing the login form for CRM Online experience. You need an Azure Subscription activated for your tenant. If you don’t have it then you can get it from here. 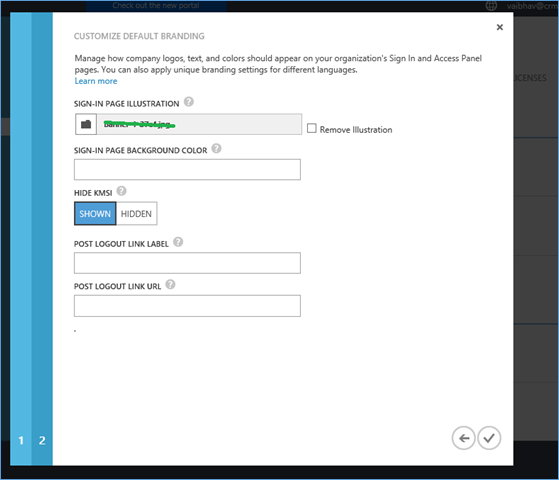 You need a Premium Azure AD subscription to be able to avail the customization option. 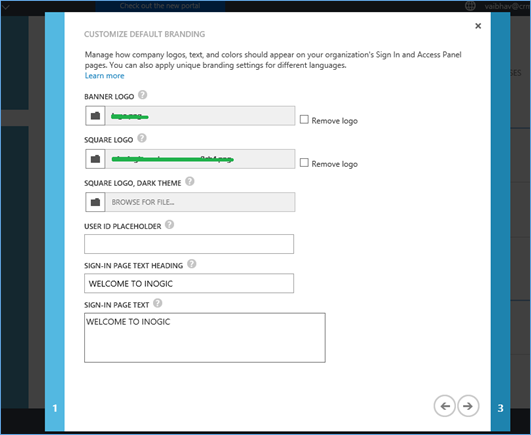 Open Active Directory services in the Azure portal, to see screen as shown below. Here, click Configure selecting your organization. Here you will find the Customize Branding Option, Click it. Note: If you don’t see this option, you are not subscribed the correct Azure plan. Click next and then again select the Image. This image will be shown in the left hand side. 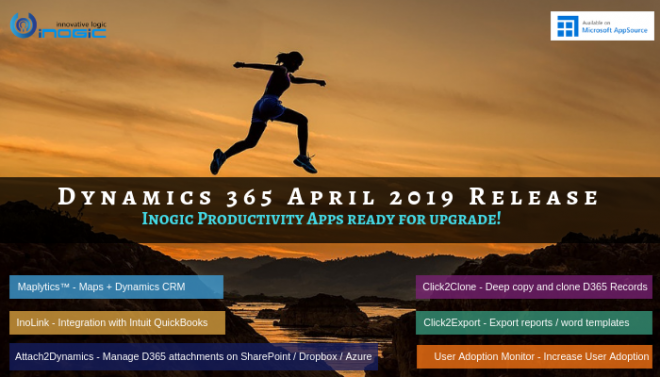 Note: As this setting is done in the Azure Portal, so it will be applicable for all the Office 365 Apps, which you will try to sign in to use the same user account. 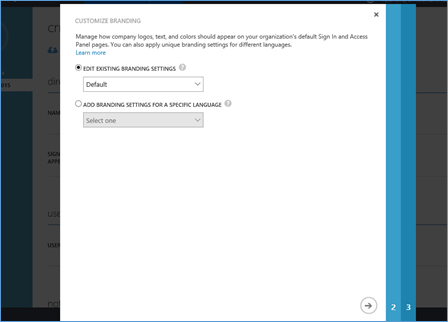 In this way you can customize your Dynamics CRM & other Office 365 apps Sign-in page with your Own Brand. 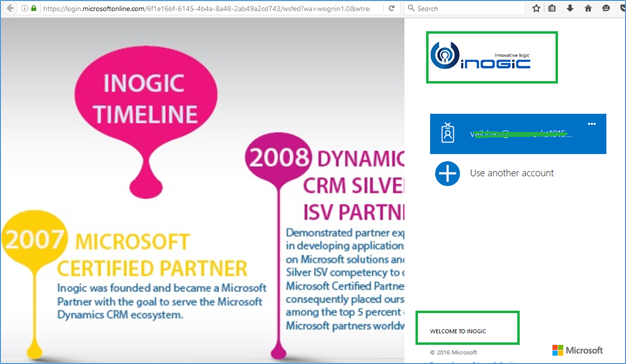 Need any help in Dynamics CRM Customization – We will be happy to help you !